How can BNTEC help you with your car? Based in Hull, Yorkshire. Independents service centres are for customers who value their car and their cash. Yes, you can take your car into the main dealer who will charge you a premium price for the privilege of service your car. Alternatively you can bring your car to BNTec and receive the same standard of service with cost savings of up to 50 percent – I haven’t yet met the customer who wants to pay more for the same standard of service. 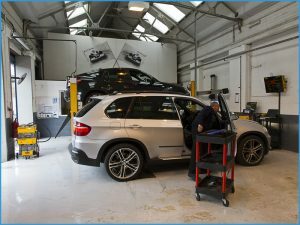 Having invested sometime tens of thousands of pounds in your car, it is essential that you protect your investment by having your car properly service. Modern cars display service due warnings on the dash, it is false economy to go beyond these service intervals. Modern engines require extremely high quality oils and filters and if not replaced correctly can later result very expensive repairs. Spending a little on servicing can save thousands of pounds later, correctly serviced cars will make tour car safer, more reliable and give you better fuel consumption, and is can also enhance the future sale price of your car. As a professional independent we have the very latest diagnostic software which is constantly updated in order to be able to access the latest on board computer systems. In addition our specialist technicians have direct access to technical databases where they are able to look up any technical or maintenance query. Can I see them working on my vehicle? Of course! Here at BNTec we have absolutely nothing to hide. You can speak and watch the Technicians at work if you visit the garage. 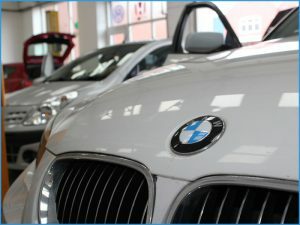 Our experienced technicians in BMW and other prestige cars, will be working on your car. Quality is paramount, so we always use dealer specification parts. My car is getting older now and I need to keep maintenance costs to a minimum? We understand that maintaining older vehicles can sometimes be very costly. At BNTec we are able to give you a choice of genuine manufacturer parts or suitable cheaper after market parts to help suit your budget. My new car has a free service package from the dealer, can you still save me money? Yes, free dealer servicing tends to only cover basic oil services and doesn’t include items such as brake pads, discs, tyres, wiper blades to mention but a few, any additonal work carried out will be chargeable… at dealer rates. We advise you check what is free and save money by having any extra work carried out by ourselves. My new car is still under the manufacturers warranty, can I still use you to save on maintenance costs? Yes you can, new laws now allow us to complete all of your annual service requirements and wear and tear items such as brakes, discs, wipers etc at a fraction of the cost of main dealer prices. Should any major mechanical fault occur simply take it to the nearest franchised dealer and they will carry out the repair free of charge under the terms and conditions of your existing warranty. Do you service other makes and models? 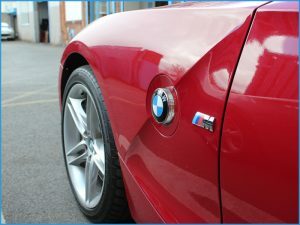 vehicles and are happy to work on all marques.